The top bike under this segment would be the obvious choice as the pulsar 180 has got it all that takes to top this list with the top speed of 130kmph, giving 45-50kmpl mileage and as we all know it , very low cost service amount as always by the Bajaj company. This bike as we all know hits the list not just by its power and performance but also by its style sense with the two new special edition bikes pushing it's sales further ahead. This bike also gives an amazing mileage of 45-50Kmpl with the top speed ranging between 120-130Kmph. This bike as you might have heard is famous for its cornering capabilities with excellent handling and good tires, it also gives an superior feeling of riding the bike with flaring at very low cost which adds to its sales factor. This bike though has reduced mileage compared to its non flaring version but gives a teeny bit of extra push at the top speed. This bike has almost everything in common with the bike mentioned above in the list except that this is a non-flaring version of the bike with little bit of extra mileage that appeals more to the Indian market rather than the Flaring version (SF) which appeals more to the teenagers. The Suzuki Gixxer derives its name from the litre-class GSX1000R's nickname, but this one is powered by a 155cc single-cylinder, air-cooled motor which belts out 14.5bhp power at 8000rpm and peak torque of 14Nm at 6000rpm. The engine is a refined unit and doesn't strain itself or make any vibrations felt even when riding at high revs and high speeds. Top speed is around 115kmph. 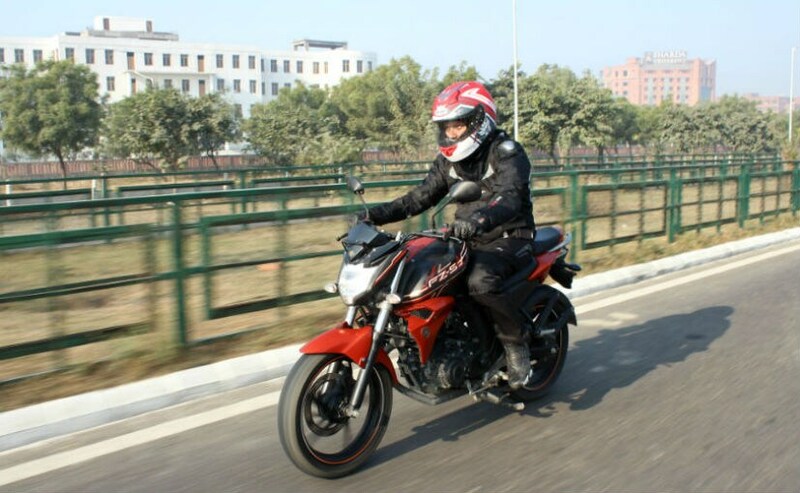 The list of top 5 bikes cannot be completed without mentioning the ever famous FZ bike which was one of the best selling bikes during its release because of its stunning looks and excellent power and handling. Its successor the new FZS 2.0 also comes with the same style quotient and performance is similar to the FZ but gives more mileage at the cost of the top speed. Akash S is earning by writing this article. You can also earn by writing articles.